Please note: This is a re-posting of Richard Falk’s blog post on his site today. Falk is an American professor emeritus of international law at Princeton University, the author or co-author of 20 books, an activist on world affairs, and an appointee to two United Nations positions on the Palestinian territories. He initiated his blog partly in celebration of his 80th birthday. He lives and teaches in Santa Barbara. Hana Shalabi is now being compared to Winnie Mandela who was also exiled to the remote town of Branford in South Africa, forbidden to leave, as a punishment for her nonviolent and militant resistance to the apartheid regime that had imprisoned her then husband, Nelson Mandela. When I had the opportunity to meet and spend time with her in 1968, a couple of years prior to her exile, she was a wonderfully radiant and magnetic personality with a deep political commitment to justice and emancipation from racism, yet a joyful presence who despite living under apartheid, was life-affirming and inspiring. When she returned from exile, she was radicalized, embittered, joined in some violent oppositional tactics, seemingly exhibiting the alienating impact of the punitive effort by the South African government to diminish and marginalize her. This part of Winnie Mandela’s post-exile story should not be forgotten, nor should it ignored that she was not exiled when confronting the sort of life-threatening situation that Hana Shalabi faces as she seeks to recover from this long hunger strike. Also, at least, Winnie Mandela’s youngest daughter, Zinzi, was allowed to accompany her, which was at least made an exception to the total separation from loved ones that has been decreed for Hana Shalabi, who in her current condition cannot even be considered a ‘political’ threat, much less a ‘security’ threat. Israel has compounded the crime of administrative detention with this shamefully gratuitous act of vindictiveness. The intent here is clear, even though the language leave room for lawyers’ quibbles: is the Gaza Strip another country? Israel itself claims that its 2005 disengagement from Gaza relieves it of responsibility. In any event, Israel’s order of banishment will be doubly enforced, neither allowing Hana Shalabi to leave Gaza nor to enter the West Bank where her family lives. 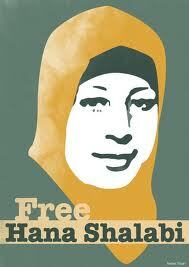 As well, given mobility restrictions her family will not be able to visit her in Gaza. Denying Hana Shalabi’s any visitation rights while confided to an Israeli prison hospital prior to the time her order of ‘deportation’ is implemented, as well as denying the Physicians for Human Rights-Israel or Addameer the opportunity to examine and talk with her underscores the stone coldness of the Israeli prison administration. Finally, this ambiguous punitive release of Hana Shalabi was apparently agreed upon not only on the 43rd day of her hunger strike, but on the eve of the 36th commemoration of Land Day by Palestinian activists within Israel and in Occupied Palestine. It is important for all of us to recall that it was on this day in 1976 that Israel killed six Palestinian citizens of Israel who were protesting, in violation of a curfew then in effect, Israel’s expropriation of their land. Her writing is spare, precise, and deeply evocative. It somehow finds the color, even the haunting loveliness, of horror and tragedy, which makes it all the more human and all the more quietly devastating. She blogs here, and her winning entry for a writing contest at Mondoweiss can be found at this link. Here’s Phil Weiss’s description of her and how impressed he was when he met her in a political session via Skype from Gaza. 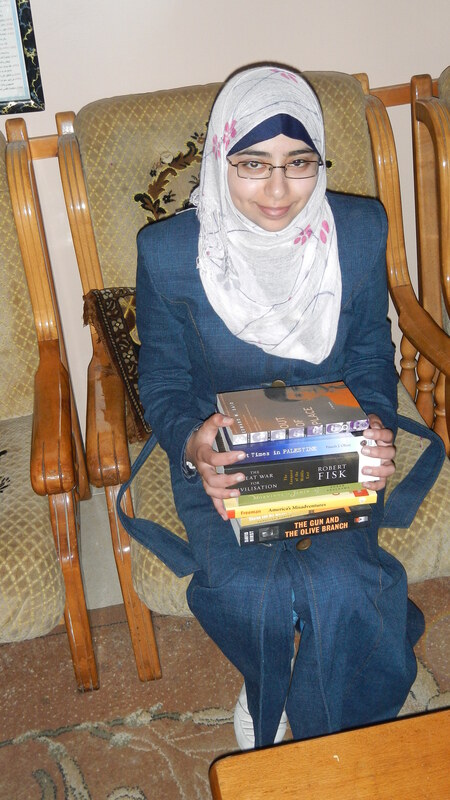 Her prize for winning the Mondoweiss competition was a stack of books of her choice. 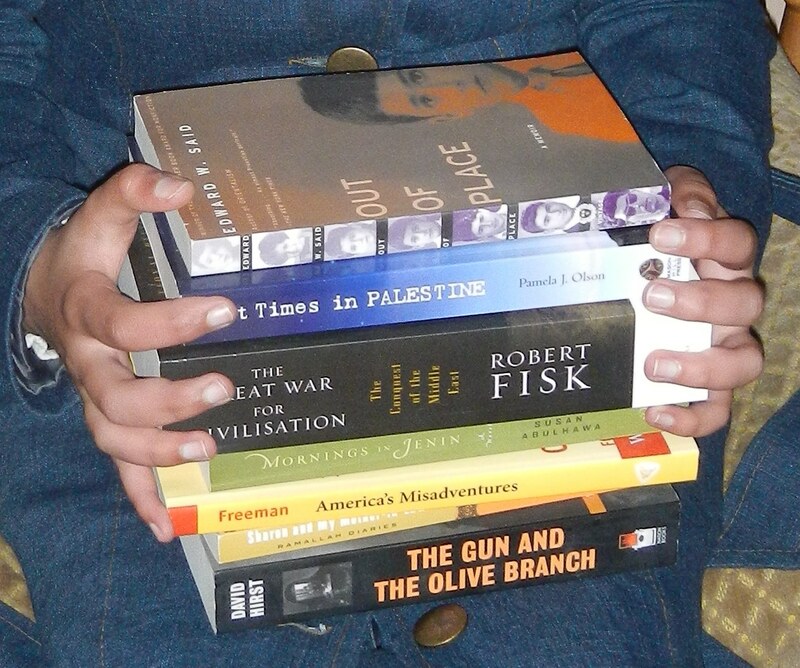 The problem, of course, was getting the books into Gaza. It took more than a year to get the books to her. But they are finally in her hands. I nearly fell out of my chair the day I saw this photograph. There were tears in my eyes. 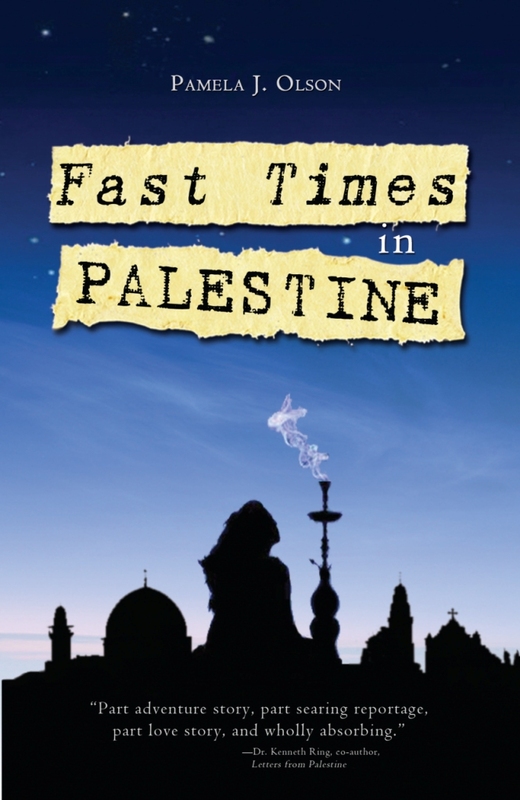 It made my day, my week, my year for my book to come full circle like that, for such an amazing and talented writer in Gaza to have heard of my humble attempt to capture at least some parts of her situation in a way Americans can relate to, and to want to read it for herself. Below is a sample of her writing, my favorite of hers that I’ve read. After you read it, you’ll understand why I’m so honored to be in that collection in her hands. It’s so humbling to be a part of this community. My Mom suddenly stopped singing and stopped calmly feeling my hair. Her hand also stopped shaking. She was keeping me on her lap, trying to keep me warm in that cold night. It was too dark that I could barely see her face. She was very warm, but she gradually lost that comforting heat. I tried to keep it, so I covered her with the small blanket she was covering me with and I stayed in her lap. Some minutes passed; however, she didn’t continue singing, and her body kept going colder. There was so much going on outside. I could hear a man weakly weeping. I thought she was listening to the sounds outside trying to know what was happening. I sat beside her, for, then, she was so cold that I couldn’t stay in her lap. “Mama, why is the man outside crying?” She didn’t answer. She kept listening. I said no word afterwards. I may have slept for a short while after the noise was a little bit lower. When I woke up I saw my mother with her eyes closed covered with my blanket. I thought she must have been awake the whole time I was sleeping, that’s why I didn’t try to wake her up; she would get in a really bad mood if I do. I poured her some water and put it in front of her. She was still cold. I was cold too but I thought she was so much colder. I sat right in the opposite of her and kept waiting her to wake up and drink my glass of water and then thank me for it. Thinking of my dad and two brothers who got out of the house carrying a white shirt and how much noise happened after they got out, while my mother followed them so fast and came back so slow, with that noise frequently coming back, I kept staring at her cold body. Now, two years later I understand it all, the cold, the whimper, my dad’s white shirt, my brothers, everything, even the mess outside. I understand why the men who came that morning took only me and why they wouldn’t listen to me yelling at them saying that my mother is still there feeling very cold. 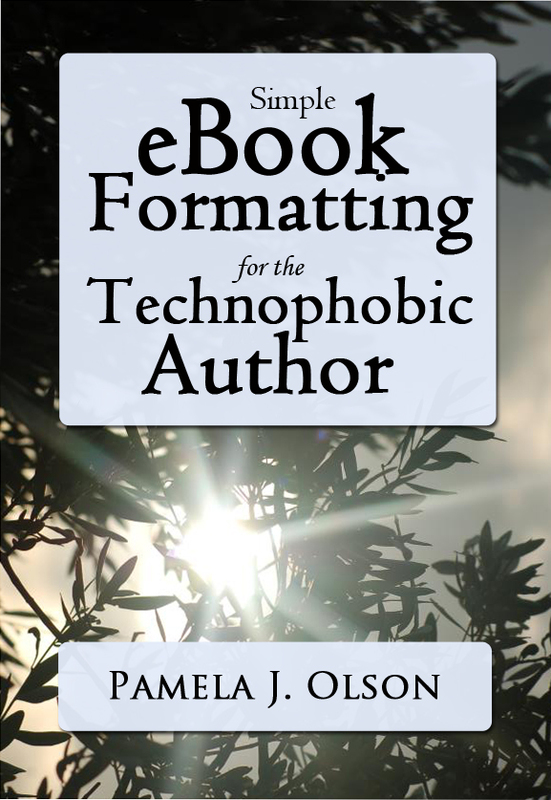 It’s called Simple eBook Formatting for the Technophobic Author, available for Amazon Kindle and priced at only $2.99. Please grab a copy if you think it might be useful to you! So you’ve finished your manuscript. Congratulations! Now it’s time to turn your words into an electronic version that can be read worldwide on an array of eReading devices. Hopefully it will turn your hard work and inspiration into a source of supplementary income–anything from latte money to those rare and lucky people who can quit their day jobs and write full-time. You could pay someone to do this for you, but why waste money, and take all the creative power out of your hands, when you can do it yourself? The process of ePublishing is free, and though it is a little tedious, it’s not particularly difficult. What is difficult is wading through endless ePublishing web forums and bulky Formatting Guides and confusing Help and About sections to figure out where to publish, how to format your eBooks, and how to upload and manage them. Luckily author Pamela Olson, who has six eBooks to her name, found a way to streamline the process considerably. She presents it here for you for the bargain price of only $2.99. It’s virtually guaranteed to save you many hours (possibly days, and maybe even an ulcer or two). No prior knowledge is required other than a working knowledge of Microsoft Word and internet web browsing. Once you master the techniques outlined in this guide, there will be plenty of room for adding your own personal flair to the design of your books. You’ll also learn about the benefits and downsides of the various ePublishing platforms, how the pay structures work, and how to track sales and royalties. And the Resources section at the end points you toward your next step: Marketing! By now, I’ve published six eBooks, and formatting and uploading them is a piece of cake. But when I first got started last year, I had to wade through a bewildering array of help pages and tutorials. Most of the free formatting guides were bulky, inelegant, difficult to follow, and geared toward steering the user toward one ePublisher or another. It was hard to find objective comparisons of the various publishing platforms, and once I hunted through endless blogs and forums and chose the platforms that worked best for me, it was another huge headache to figure out how to format my manuscript for each of them. The free formatting guides and help pages were either bulked up with information I didn’t need or stripped down to the point where it was practically useless. I was at my wits’ end trying to sort everything out. It literally took weeks. Well, it shouldn’t have. And it doesn’t have to take weeks for you. After I finally mastered the complicated ways they wanted me to format my eBooks, I discovered several steps that were unnecessary or overly belabored. When it was time to publish my next eBooks, I eliminated or streamlined them. Now, for me, publishing a robust and elegant eBook is a simple matter of a couple of hours of work that is, to be sure, somewhat tedious, but it’s no longer difficult or frustrating. I’m writing this guide to bring this same experience to you, along with information on how to upload and manage your new eBooks. It’s one-stop shopping for anyone who wants to publish their first eBook. Readers are also welcome to email me if they have any questions or frustrations (my email address is included in the guide). I’ll do my best to help, and also to continually update and improve this guide. Something I posted on Mondoweiss today. I don’t know how to embed the videos here, so go to their site to easily watch all the videos. Or you can use the links in the headings below. This Monday and Tuesday, Jon Stewart dedicated three segments of The Daily Show to Israeli belligerence and American intransigence in the Middle East. The first was an interview of Palestinian Ambassador Riyad Mansour that took jabs at the US government’s determination to veto Palestine’s application to the UN for statehood. The second made fun of the US, Iran, and Israel equally for their warmongering during an election season. And the third took on the Israel lobby, and the fact that no American politician dares criticize Israel while politicians in Israel itself are allowed a much broader spectrum of dissent. I think it’s another blow to the silence and complicity surrounding all these issues in a major vehicle of American liberal culture. Feel free to judge for yourself. Below are the clips and partial transcripts. At this point there’s a bit with a trivia question and a bonus round, and the ‘prize’ is a US veto. Finally Jon gives up and starts singing to everyone, then appeals to God to sort it all out. God does not reply. Perhaps he’s in an election season, too. Enjoy, and please spread this info as far and wide as you can! Thank you!